Though Drake's currently focused on his admittedly great Nothing Was the Same LP, French filmmaker Mikael Colombu has gone back to 2011, treating the artist's Take Care track "We'll Be Fine" to a fantastic video. The clip kicks off with footage of Drizzy performing in Paris, where he toasts the city. Then, an emotive violin leads off the classical music that dominates the video. Footage of Drake is embellished with animated elements, while cut-outs of the artist are also manipulated. The end result is an immensely cinematic experience that's better to be watched than explained. 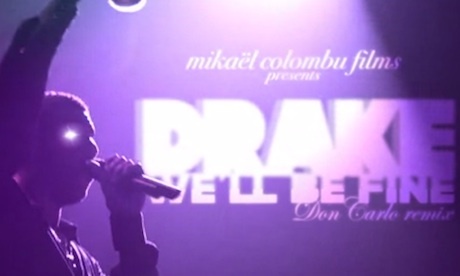 Check out Mikael Colombu's Drake video below.